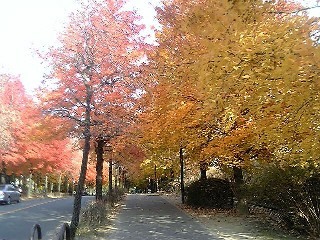 I took the picture above on my way to Osaka University, which I visited on business today. Professors at Osaka Univ. are committed to a lot of major researches and developments collaborating with private companies: biotechnology, robot technology, medical researches, and so on. That reminds me. Accounting for R&D costs is one of the subjects I have to review again for USCPA exam. One of the confusing topics in FARE is how to account for certain expenditures. A MCQ often goes, "Should this be expensed when incurred, or be amortized and expensed over a certain period?" I cannot give a quick answer to this sort of question. I made a summary note about this as a reminder for myself. For more details about the items above, click “MORE” below!